We happily invite you to sign up for the 6th edition of the fashion festival “FASHIONCLASH Festival”. 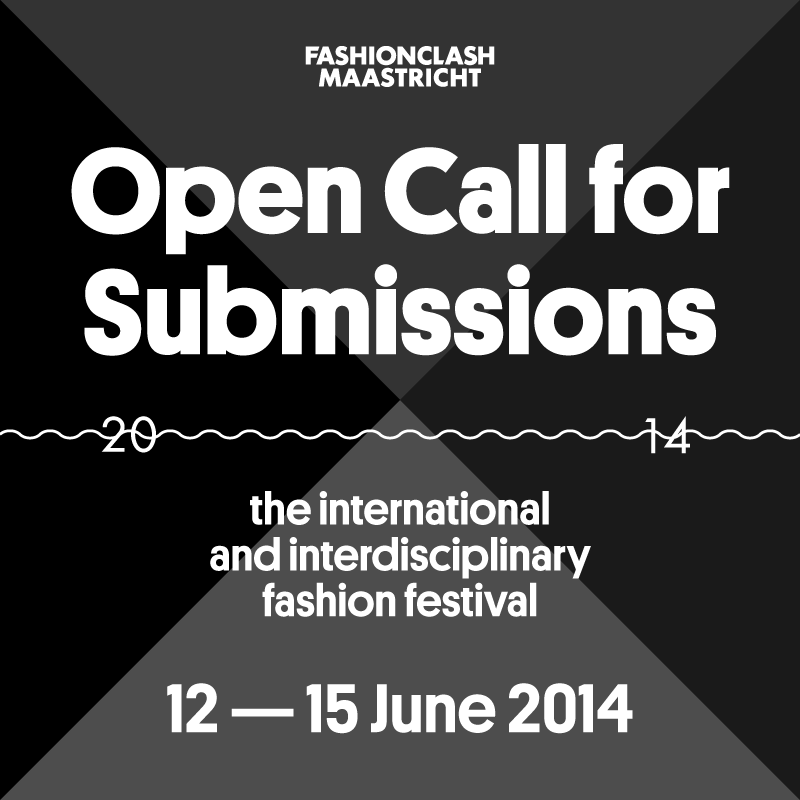 FASHIONCLASH Festival is an inspiring fashion festival based in Maastricht, the Netherlands. FASHIONCLASH Festival shows the art of fashion in the broadest sense of the word. FC Festival is a platform where young and upcoming designers and artists from various disciplines get the opportunity to present their work to a broad and various audience, national and international press, industry leaders, etc. Since the 1st edition in 2009 more than 700 talents from more than 30 countries have joined the festival and were given the opportunity to show their talent and work. Some of their careers really took of from there! Please find a more elaborate description and learn more about the program in the application form. Feel free to spread the news. We are looking forward to your application! !